Lukasz Piszczek had a direct hand in all three of Dortmund's goals against Wolfsburg. Lukasz Piszczek assumed tormentor-in-chief duties in Borussia Dortmund's comprehensive 3-0 win over Wolfsburg. 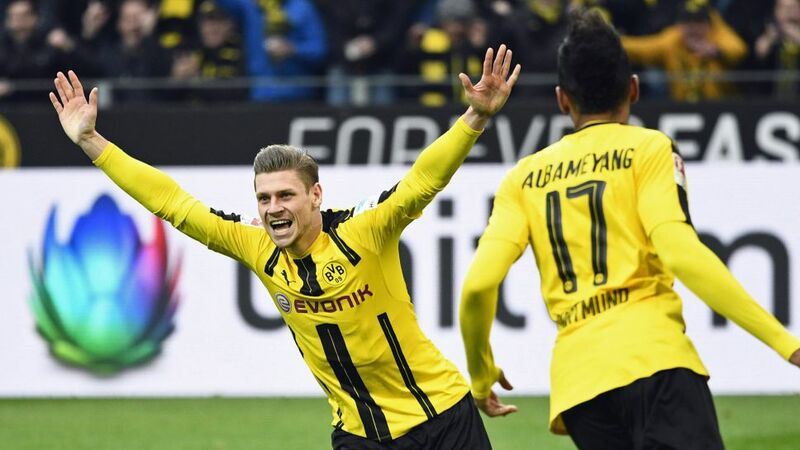 Piszczek collected 19 Official Fantasy Bundesliga points on Matchday 21 - sign him up by clicking here now! After whipping in a devilish cross that forced Wolfsburg defender Jeffrey Bruma to head past his own goalkeeper, Piszczek stuck away an instinctive finish that BVB teammate Pierre-Emerick Aubameyang would have been proud of. An inch-perfect assist, met by the grateful Ousmane Dembele, put the seal on a rousing individual display. There is no doubt the Poland international's star shone brightest at the SIGNAL IDUNA PARK, but has he done enough to earn your vote for Matchday 21 #BLMVP? Vote Piszczek for #BLMVP on our official Twitter channel now! With five goals, Piszczek is the Bundesliga's highest-scoring defender so far this season.The Pole has never scored so many goals in a single campaign.Five of his last nine Bundesliga goals have been headers, three of which have come this term.